The Wagga Wagga EverGraze Proof Site was led by Michael Friend (2005-2010) and Alison Southwell (2010-2013) from CharlesSturtUniversity. Team members (Table 1) represented both CharlesSturtUniversity and the Department of Primary Industries (DPI) NSW. Extension in the region is led by Nigel Philips, DPI NSW. 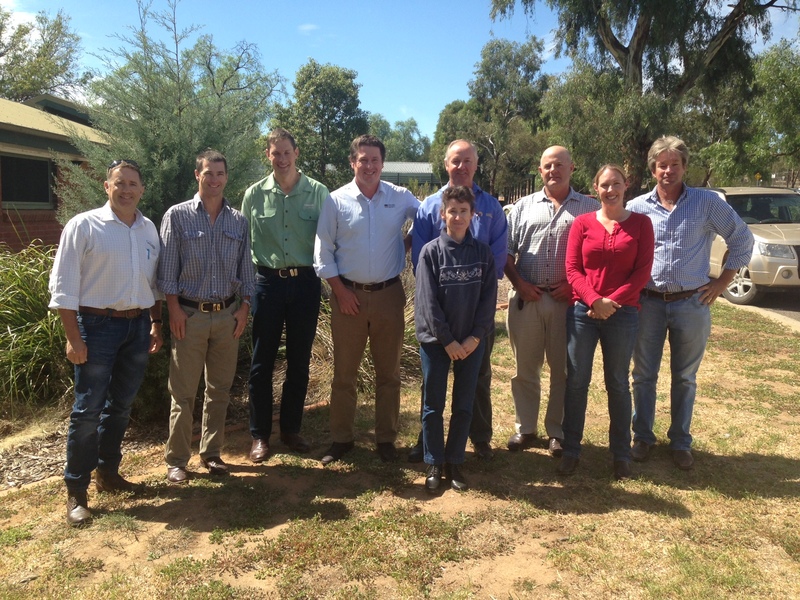 The Wagga Wagga EverGraze regional advisory group was chaired by Sandy McEchern, Holmes and Sackett Consulting, and included representatives from Murrumbidgee Catchment Management Authority, Landmark and local farmers. An enthusiastic regional advisory group was chaired by Sandy McEchern, Holmes and Sackett Consulting and included farmers, consultants, NSW DPI extension officers and representatives from Murrumbidgee CMA. The regional group provided significant input into the direction, management practices and interpretation of outcomes from the experiment and modelling to make them relevant to farmers. Rear: Nigel Philips, Nathan Ferguson, Mark Golder, Sandy McEachern, James Crawford, David Ham, Simon Matear. Front: Susan Robertson, Alison Southwell.